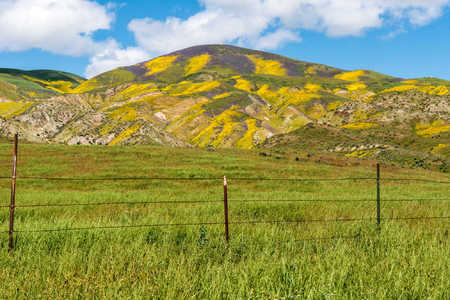 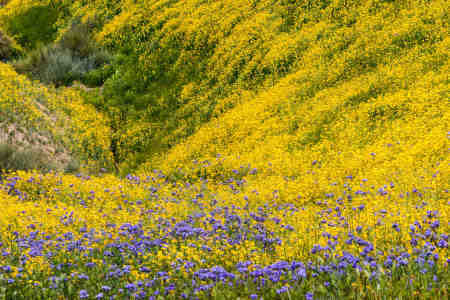 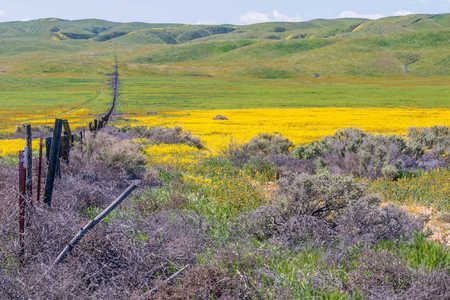 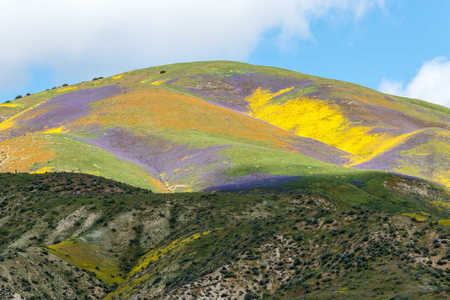 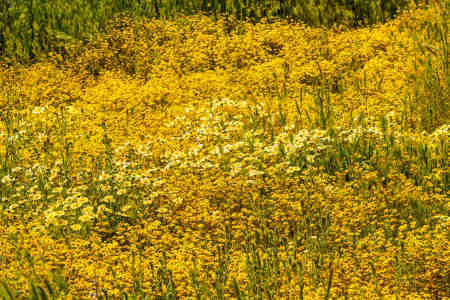 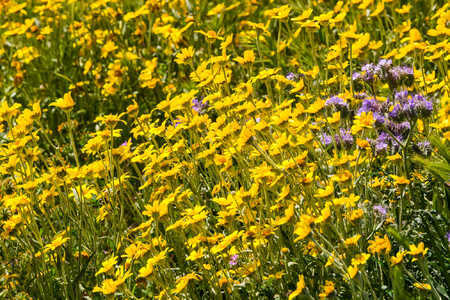 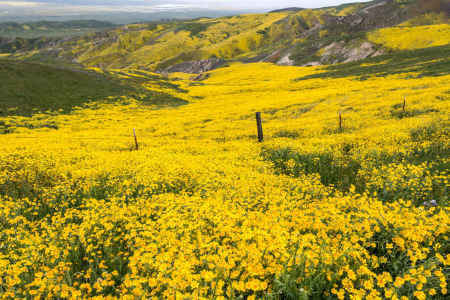 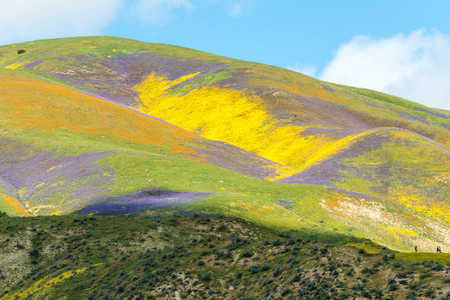 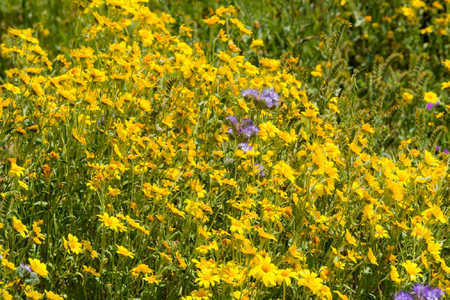 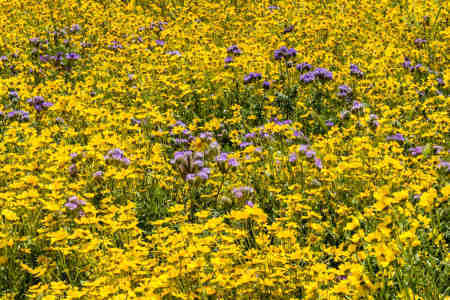 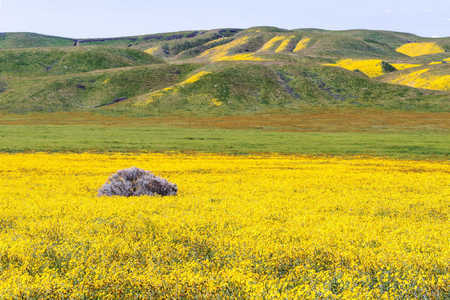 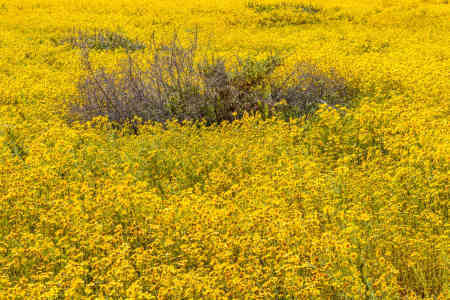 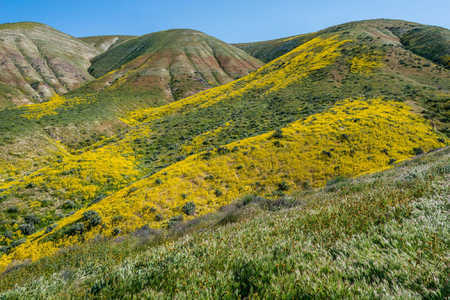 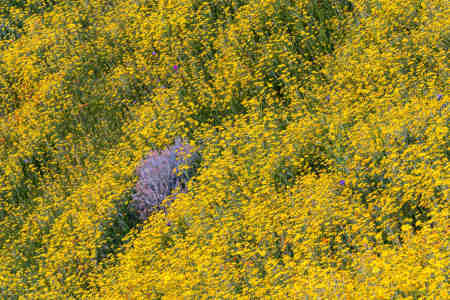 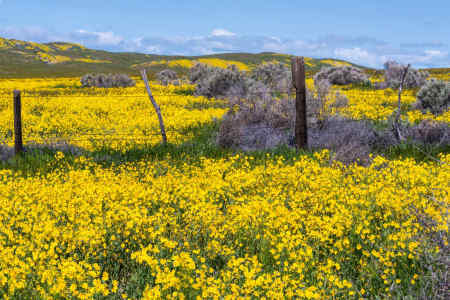 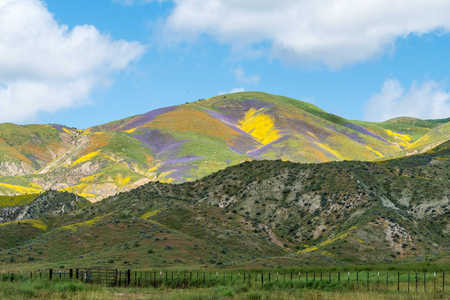 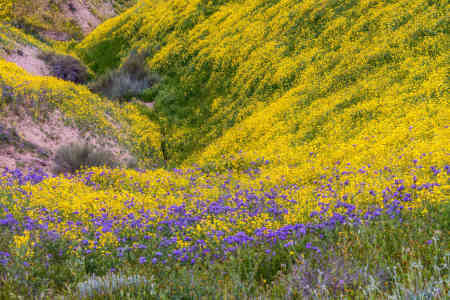 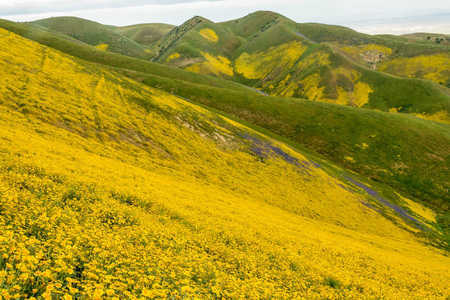 Thanks to the uncharacteristically heavy rains that ended a four-year drought, a super bloom of wildflowers occurred in parts of southern and central California this spring. 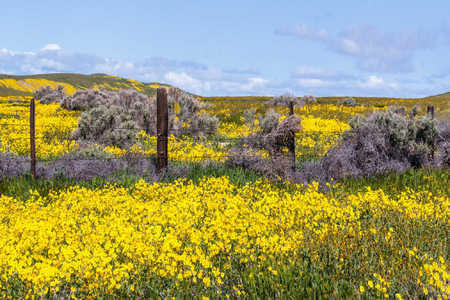 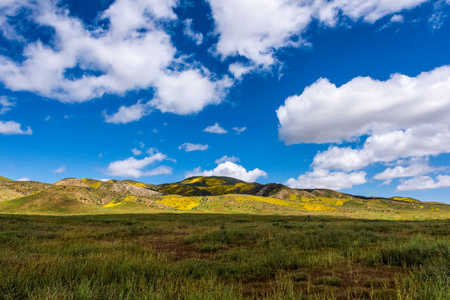 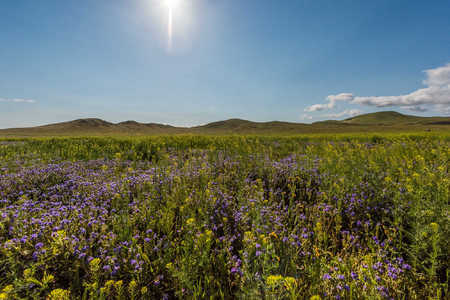 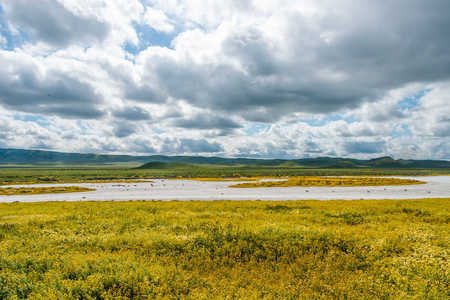 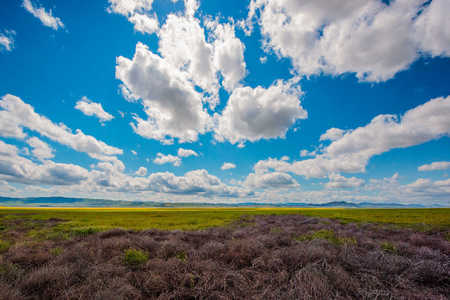 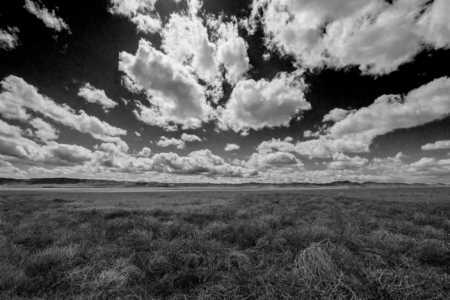 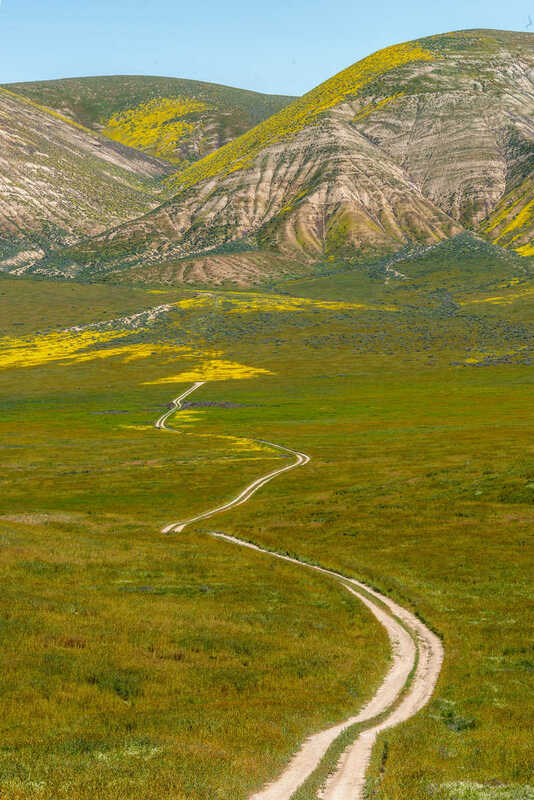 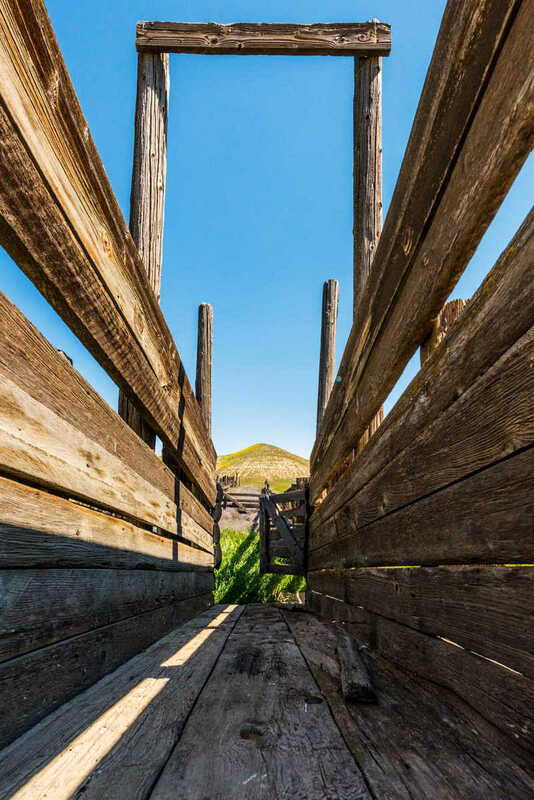 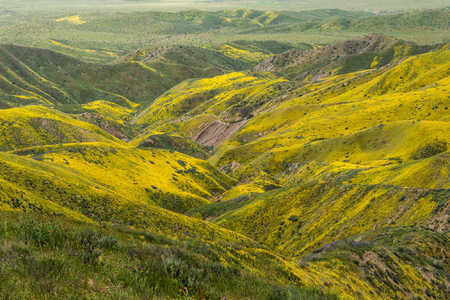 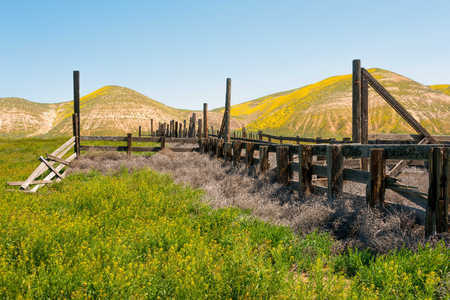 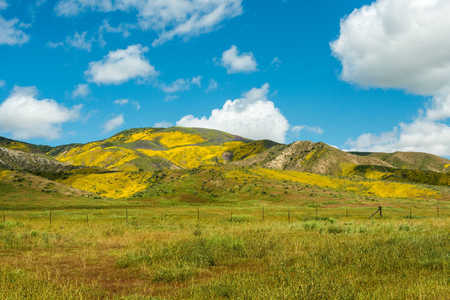 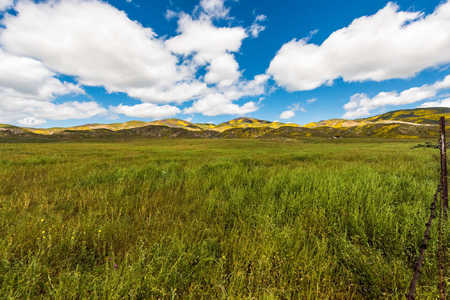 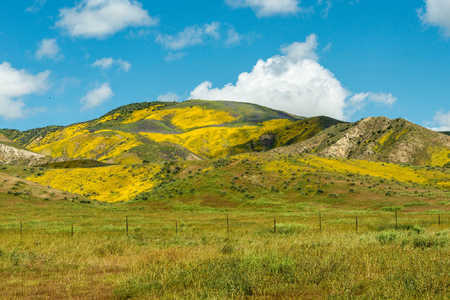 This phenomenon was dramatically apparent in the Carrizo Plain National Monument, a semi-arid, 247,000-acre grassland bordered by the Caliente Mountains on the south and west and the San Andreas Fault and Temblor Mountain Range on the east. 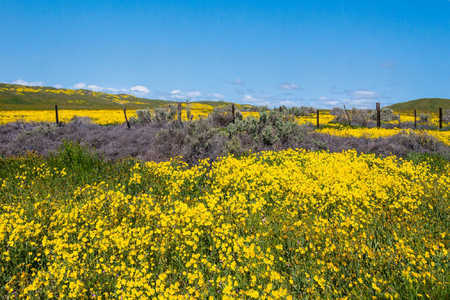 I visited Carrizo the first weekend in April 2017 to photograph the wildflowers. 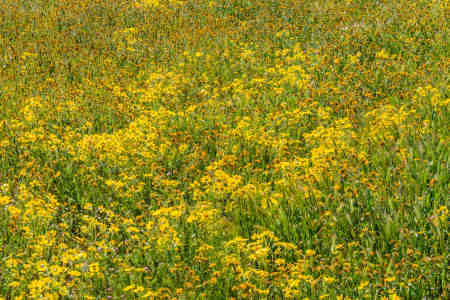 Needless to say, I was not disappointed. 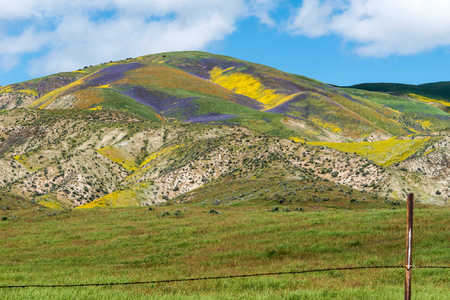 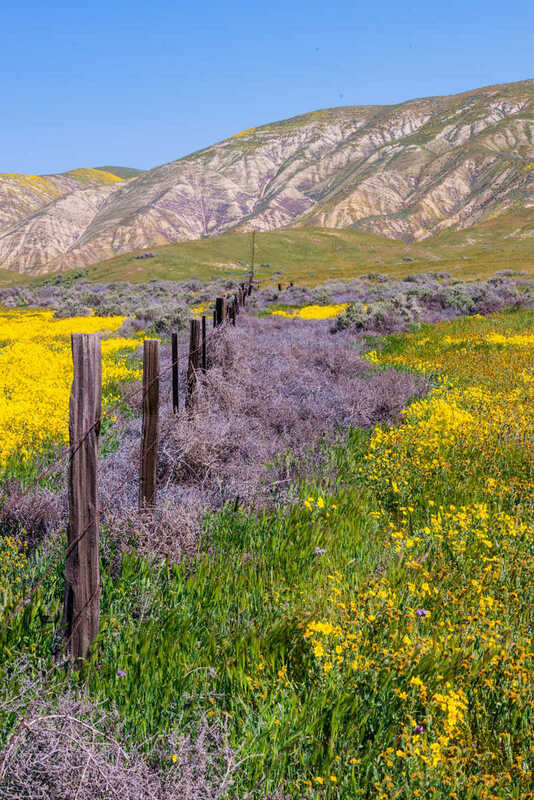 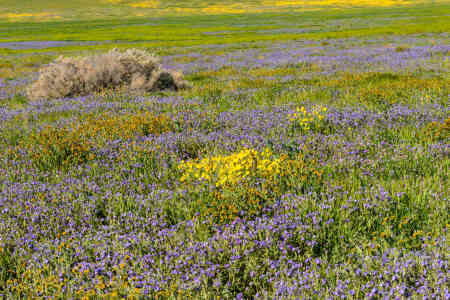 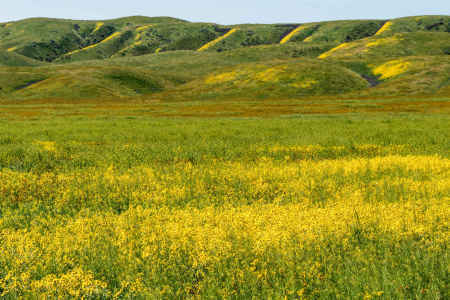 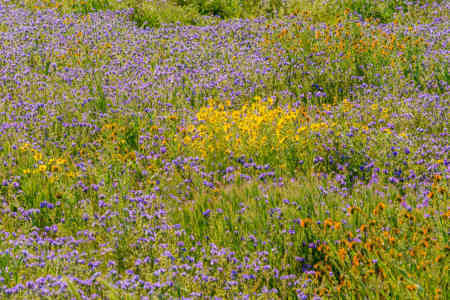 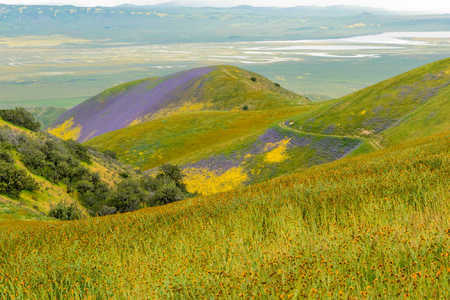 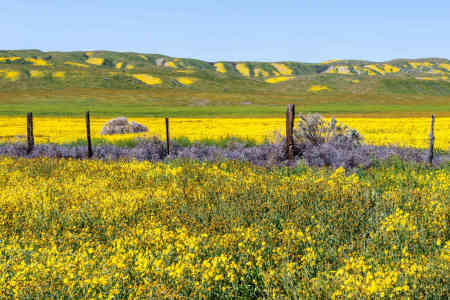 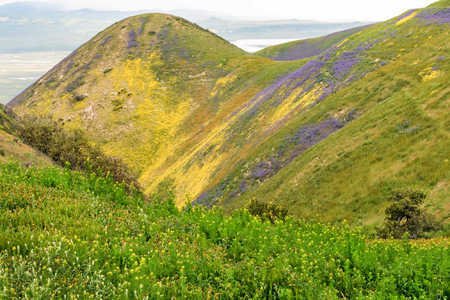 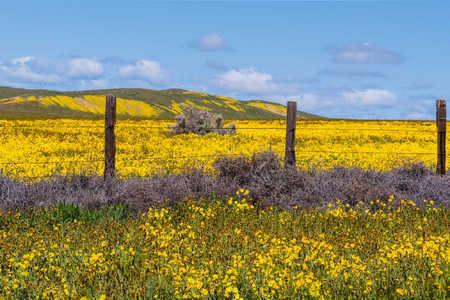 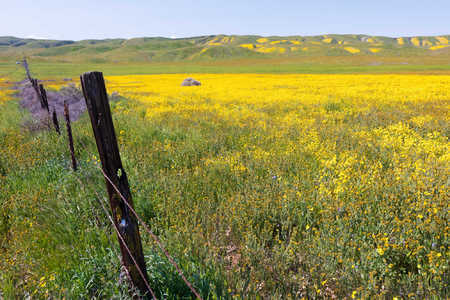 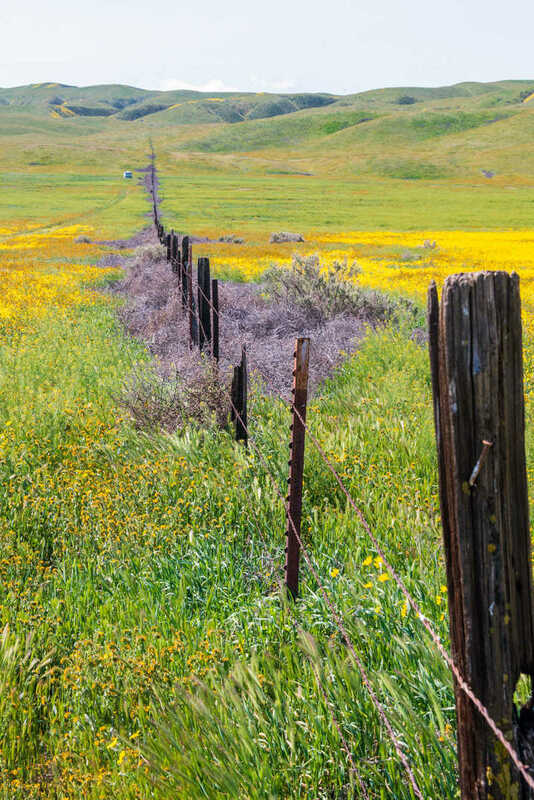 As seen below, breathtaking vistas of yellow and gold, orange, purple, green and blue appeared throughout the Carrizo Plain and the surrounding mountains. 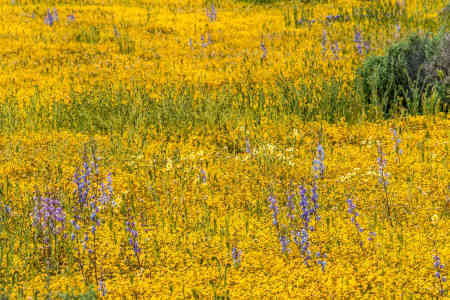 For me, this was indeed a special experience to photograph an exceptional natural event.